Organization makes sense; it allows you to look professional, it’s easier to find the things you need and leads to a less stressful life. Creating the perfect organized office might seem impossible, but with a few tweaks, it’s often easier than you think. What is important is creating a space that works for you and your family and not against the natural flow of your life! But it will need constant maintenance, without this any system will fall apart very quickly! You need to create systems that will work for you, it will enable you to keep paperwork and mail under control. 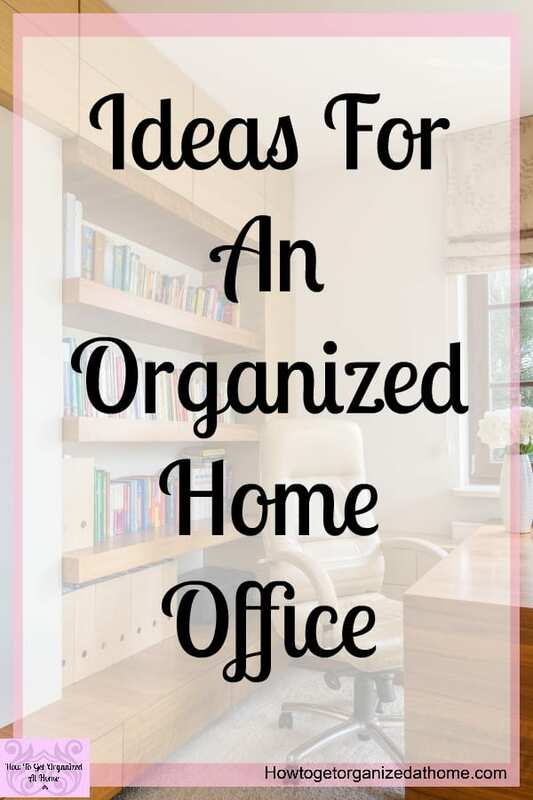 Create categories of the different areas in your home office, this allows you to see what items are being stored together and it makes it easier to come up with an organizing system that will work for you. 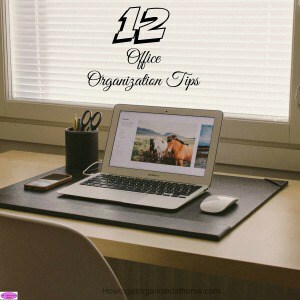 Often, it’s the simple tips that will keep any office in shape, anything too complicated and it becomes difficult to control and manage! The more you keep your office organized the easier it is to control! Organizing it will look better, and you will know where to find things without panicking and spending hours hunting for something! Keep on top of the filing; this is one of the most important aspects, it will allow you to keep things organized and you will know where things are. If you mark the date on the paperwork when to destroy this can help save time by knowing when a file is ready for destruction. Plan your day, this keeps your mind organized at work! Limit the amount of stuff that you have out on your desk! Only have things you are currently working on out! Tidy up between tasks, this helps you ensure you have finished off one task before moving on to the next! It’s important to have the right tools for the tasks you do in your office! If you are constantly looking for different things, you need to have a home for everything that includes your coffee cup! If you have your phone on your desk, have a space that is just for your phone, the same for pens and your diary! If they have a place where they belong it will make your desk less cluttered! It also helps for creating routines when putting things in the right place, that creates a muscle memory that when you want something your hands will automatically go to the place that you store the item you are looking for! The more you control the items in your office, control what’s coming in and the tasks that need to happen, the easier it is long-term to keep your home office organized and clutter free! 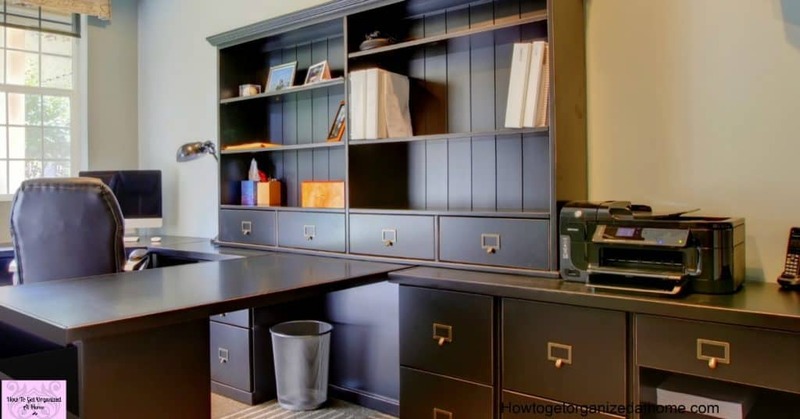 If you want your home office desk to look less cluttered there are some great tips to keep your desk and home office organized! Keeping your desk clear will allow you to see what you are doing and what you are working on. If your desks cluttered with too many items it becomes difficult to work effectively, because you’re being distracted by the other items on your desk. Only keep things on here that you use every day if you don’t use it daily put it away, find a home for the item. What you sit on will depend on how effective you work, being comfortable is key if you are sitting for long periods. Getting up and stretching your legs is important as too much sitting in one place is not good for your health. You might try a standing desk, these are becoming popular, I haven’t tried this method yet, but you never know! Knowing what you need to do and when is key to office organization. Whether it is a home office, or you go out to work, keeping yourself organized is important, how you do this is personal to you. I like pen and paper and I have a diary system which I use. If you like technology you might find that an online calendar works just as well for you, why not try the Cozi Calendar it’s free! It is about finding a system that you can use and develop into a workable means of keeping you on track. How you organize your space will help you create a space that works effectively no matter however often you are in the space! How you organize any current work is key to how successful you will be at getting the work completed on time. Don’t forget the organizers in your drawers too! Having a place to store dates and appointments is key to an organized office, it lets you see what you need to do and by when! Ring binders are a great way to organized paperwork! You can’t go wrong with a filing cabinet! Keeping on top of the organization in your drawers is key to an organized desk! Standing desks are becoming a popular option! Try using the Cozi Planner, it’s electronic and it’s Free! Grab my cleaning pack, it’s a printable pack that will help you get organized! 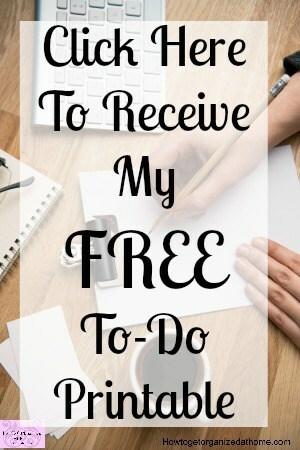 Without my schedule, I am not sure how confident I would be to ensure that I remember everything I need to do each day. It keeps me on track and I know what I need to do as it’s written down if I think of something that I need to do I create a plan of all the tasks and just break these down and write them in the plan! It is that simple! If you have multiple clients or colleagues that give you paperwork, finding a system that keeps this organized and working for you is imperative. It is the same for a meeting, keep a separate file for each meeting and you will know what you need to grab and will have all the information to hand. 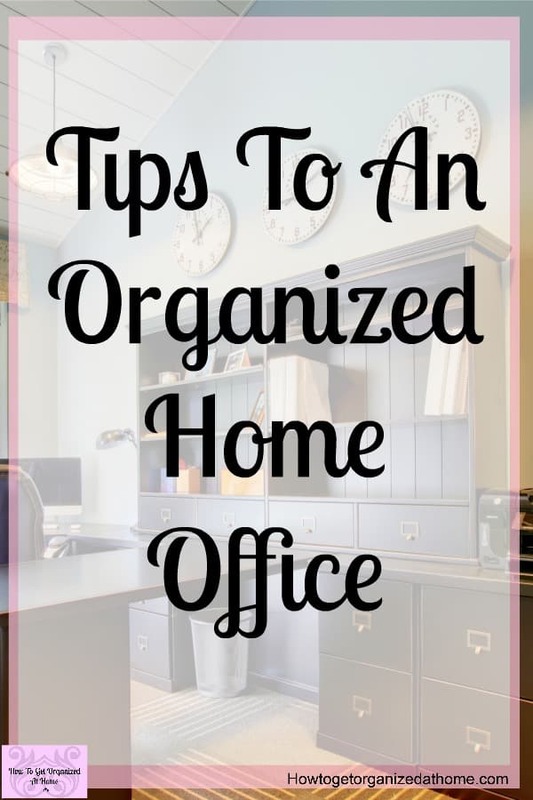 Therefore, if you are looking for a more organized office or are wondering how to organize a home office, it is about finding a system that works for you, changing something that doesn’t work is important! A system that doesn’t work becomes chaos in no-time! However, the most important aspect is keeping the clutter under control, file things away, put things away when you use them and ensure you schedule everything into some sort of organizer or planner! I have been inspired to make more effort to keep my office tidy, although I know where things are I must admit it looks as if I don’t! !